Brand new Warner Music signing Outsider has released his first single/ EP ‘Míol Mór Mara’ through the label’s W Songs. ‘Míol Mór Mara’ finds the Irish singer, songwriter, multi-instrumentalist and punk poet leading with driving guitar and bold thoughtful vocals, reminiscent to the likes of Bruce Springsteen or The War On Drugs. Featuring lyricism in both English and Gaeilge, which come from his Irish heritage, the Dublin singer also pulls together orchestral strings and a punk-influenced rhythm on the new single. ‘Míol Mór Mara’ means ‘sea whales’, and translates literally into English as ‘giant beasts of the sea’. Regarding the single Outsider says, “The song is about a child with down syndrome I worked with when I was suffering from huge heartbreak and it had a profound influence on my life. The kid was so inspiring and pulled me out of a dark place really just by spending time with him. It's got a lot of biblical references to Jonah and The Whale, which is symbolic of diving into the sea of the unknown and becoming something far greater than yourself in a spiritual sense." 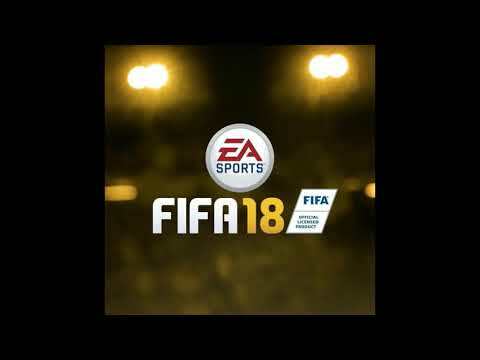 The song is featured in the soundtrack of FIFA ’18, and marks the first time ever that the Irish language has been introduced into mainstream video gaming. His music has also recently been featured on BBC 'Match of The Day' and in the Netflix show Shadowhunters. Outsider takes his name from the song by the Ramones and Colin Wilson’s controversial book The Outsider. His songwriting is deeply thoughtful and enticingly intelligent, matched by rich Americana-tinged guitar music, is set to captivate hearts and minds across the globe. Jan 2017- featured on the soundtrack to Shadowhunters on Netflix a long with artists like Bastille, Tom Morello, and fellow Irish artist Talos. Sept 2017/ 2018- The only Irish artist featured on FIFA 2018 soundtrack aloong with artists like Lorde, Run the Jewels, The National, The War on Drugs. Nov 2018 TV - Track is closing song on TV3 Champions League coverage of Man Utd. game. Dec/ Jan 2018- Miol Mor Mara featured on BBC1 'Match of the Day'. Jan 2018: Invited to perform at Shazam HQ in both New York and London.